On the navigation bar, click Hypotheses under Plan. From the hypotheses listed, select the hypothesis that you want to link to your test. On the pop-up that appears, click Create a Test under Link Test. Next, from the drop-down, select the type of test you want to run for this hypothesis. On the navigation bar, select the type of test you want to run. 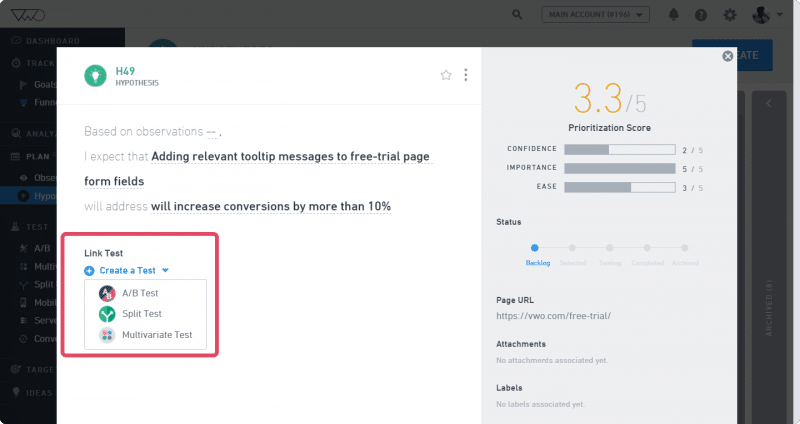 On the tests dashboard, click Create. On the New Test screen, link an existing hypothesis to this test. 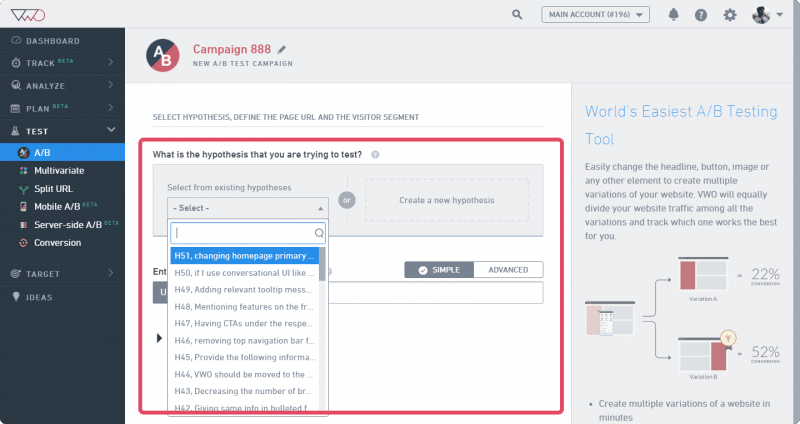 Or if you are just starting out, click Create a new hypothesis to define a hypothesis to test. Once a hypothesis is linked, follow all the steps needed to create a test. To know how to create a test, click here.